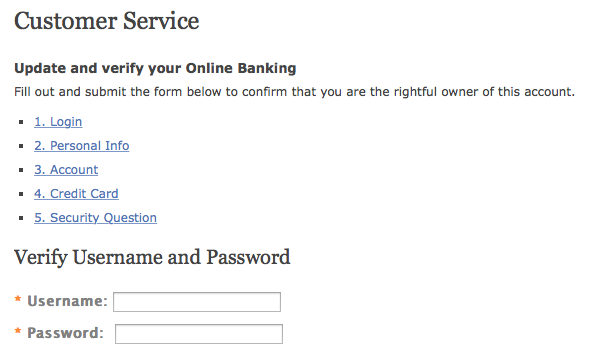 One of our visitors at TheDailyScam.com recently forwarded an email to us that appeared to be from Wells Fargo bank. However, the sender felt that the email was very suspicious. The email came with an attached file named “Case ID-40431.html.” The email, and attached html file were a very clever and extremely dangerous phishing scam. 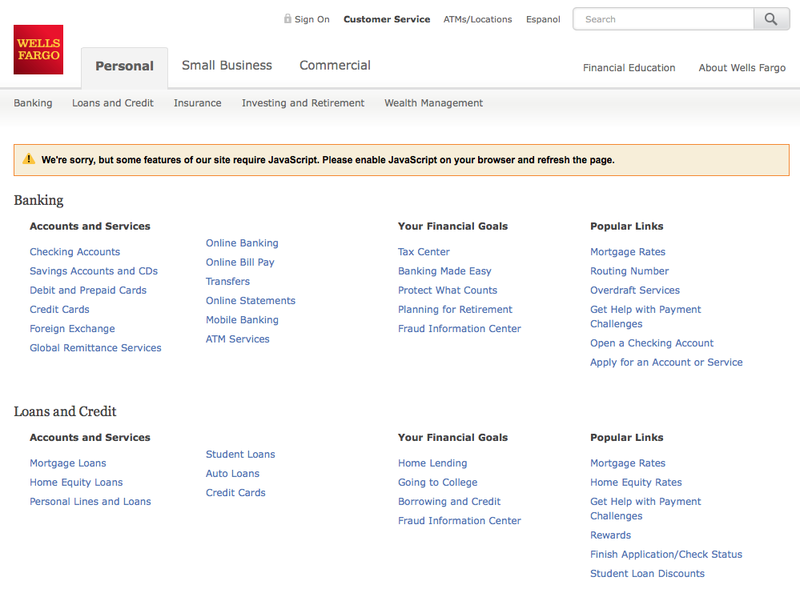 A phishing scam is a scam in which a fake website has been set up to appear like a real website for a financial institution or some other service such as Apple account. The scammer hopes to trick the email recipient into entering very personal information such as bank account or Apple ID login information. In this article, we’ll take this particular scam apart and expose it in layers starting with the simplest parts and ending with the more complex ones. Our hope is that everyone reading this article will gain some insite into these types of scams and avoid becoming a victim themselves. The woman who received this email does have a Wells Fargo bank account but was suspicious because the sender’s email address contained conflicting information. 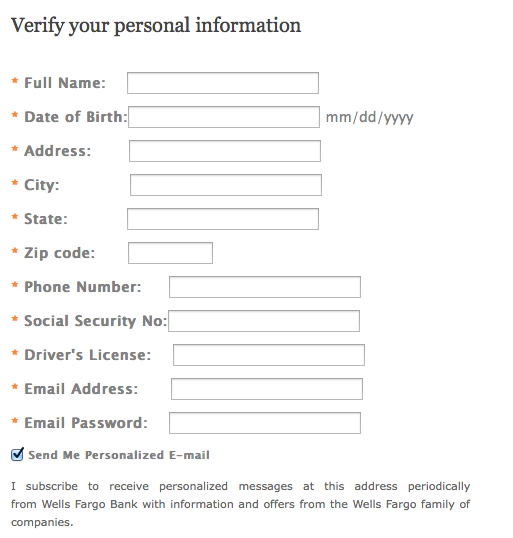 Though the sender is identified as “Wells Fargo,” the email came from a domain named “surveillancesystem.com.” And what’s up with that replyto@yahoo.com? It also made our recipient suspicious. 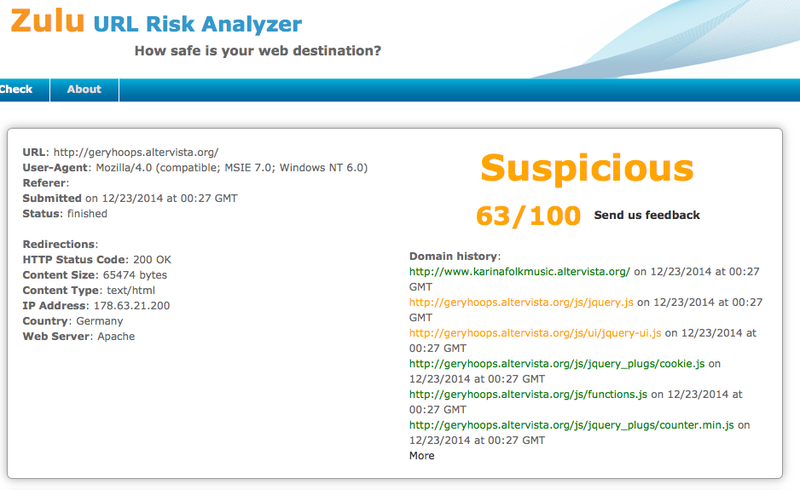 If you enter “surveillancesystem.com” into Google, you’ll learn that Google can find no such domain name. 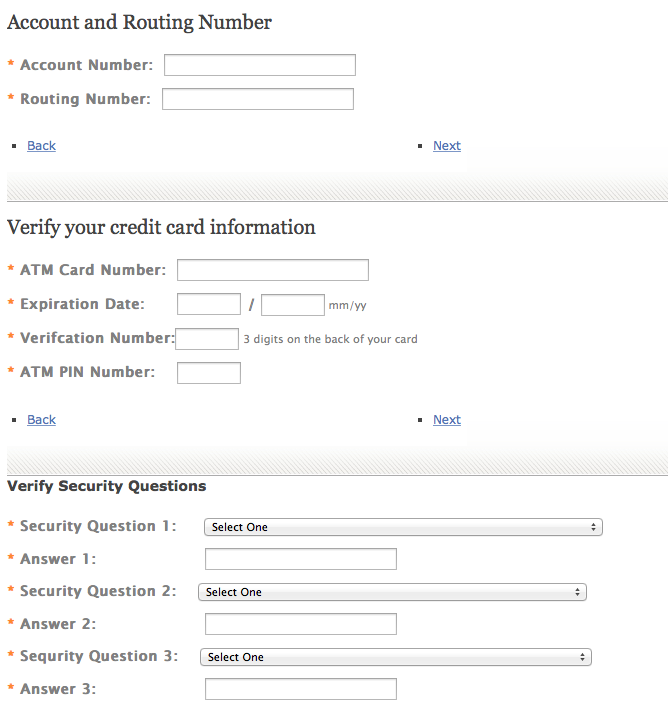 (Not to be confused with surveillancesystemS.com) Even if the domain surveillancesystem.com DID exist, it has nothing to do with Wellsfargo Bank! 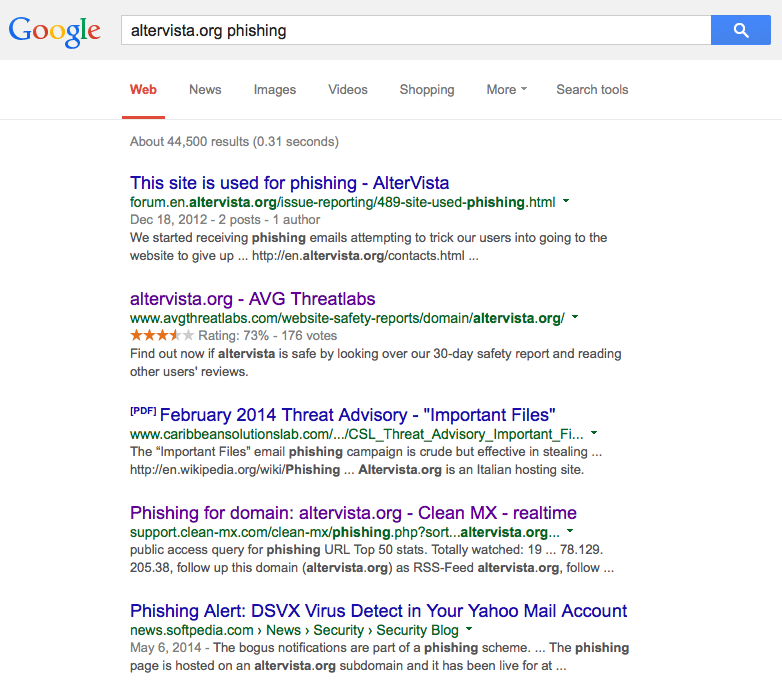 We entered the domain, “altervista.org” into a Google search field to see what Google might tell us and we weren’t the least bit surprised to see many Google returns referring to this domain as a known phishing site. 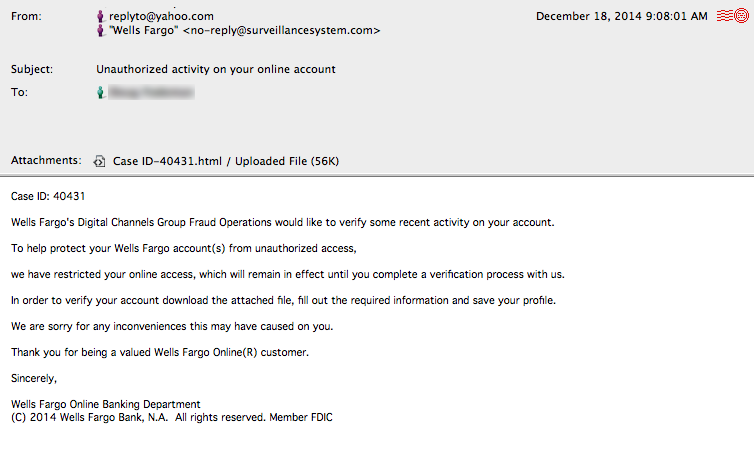 Like we said at the beginning of this article… this was a very, very dangerous phishing email. 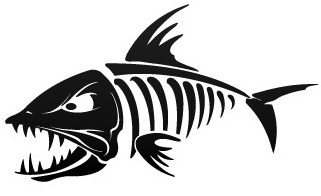 This kind of phishing trick can cost someone everything he or she has in bank accounts, including identity theft and a ruined credit history.